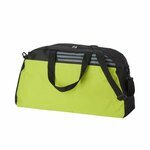 This range of promotional sports bags includes bags that can be used for a wide range of sports and age groups, starting from small drawstring bags to large multi-pocketed sports holdalls. 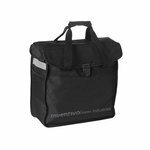 Each can be printed with your logo and pricing, dimensions and features are shown for each bag listed. If you need more information or a bespoke bag design please contact us. 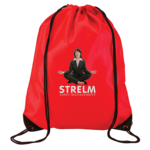 Promotional sports bags are a brilliant product for any type of fitness, sport or leisure related promotion. The market size for wellness and fitness in the UK is expected to reach £22.8billion by 2020. Whilst this figure covers several areas including medicine, sports equipment, weight loss and gym membership, there is no doubt that there is an every growing interest in sports as a way to improve or maintain a healthy life style. 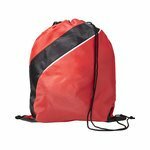 Sports bags are a great way to tap into this market and at Redbows we provide an extensive range of promotional sports bags. 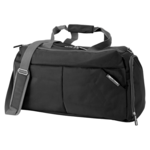 Our bags include drawstrings, traditional holdalls as well as rucksacks and over the shoulder bags. 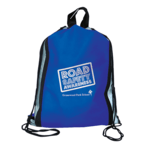 Each can be printed with your logo and made available on short lead times. 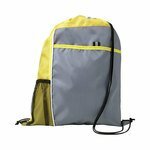 As well as being used for sports, these bags are extremely useful for a variety of purposes and are always well received. 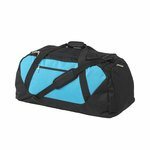 They can be used to carry training equipment, running shoes, football boots, team and gym kits in a conveniently sized printed bag that can be stored easily. 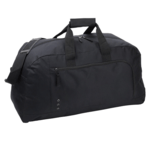 Gym bags is another common term used for sports bags. Other ideas can include dance groups and even schools and colleges who want to promote a healthier lifestyle. 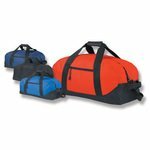 Whatever the promotion, it is important to choose a promotional sports bag that has features that the end users / recipients will really appreciate. 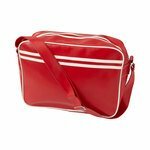 This can include space for a water bottle, mobile phone pockets, ID and membership cards, keys and fitness trackers and sections into which you can place and zip-up items like boots and shoes or clean clothing or towels and shower gels. 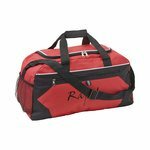 From the Redbows collections it is possible for us to provide a complete fulfillment service with items bundled with the sports bag. 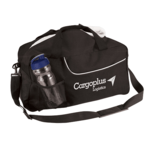 A good example of this would be a bag and water bottle combo, both printed with your logo and contact details. 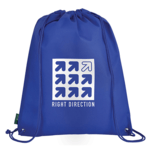 Personalisation is relatively easy for these types of bags and include screen printing, transfers and embroidered badges or embroidery onto the bag material itself. 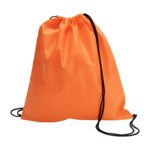 We tend to keep a general stock of plain stock items to allow fast delivery of printed bags or even unbranded product. For larger print runs or national campaigns we may need to bring in additional stocks which can add to the lead time. Please check with us if you need an express delivery bag or a distribution service to multiple locations.There are also a range of colour options to provide the perfect background on which to show off your logo and imprint details. The brighter and hi-vis colours can also provide a safety aspect to the promotion and especially when coupled with a reflective armband. 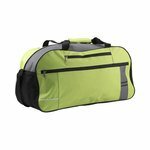 Do you sell branded Sports bags? 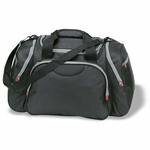 At the moment we offer Slazenger sports bags branded with your imprint or logo. However our range is constantly expanding and we work to add new products and brands to our bags collection every month. If there is a specific product you are after, please contact us. This depends on the material and treatment to the materials. 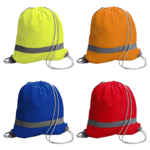 Most bags are made from polyester which would have to be treated to consider them water proof. 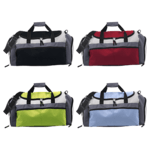 Sports bags made from PU materials (imitation leather) may provide more protection from rain and water. Can you colour match a bag to a logo? 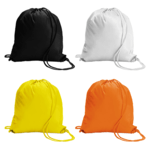 Our standard bag ranges are available in several colours. We may be able to match a bag from our standard stock. Otherwise we would have to look at a custom or bespoke bag project and have completed these for clients in the past. One thing to bear in mind is that bespoke products take longer and need a larger manufacturing volume to give a reasonable unit cost.